HYPE Performance - Are You Ready? HYPE Performance is planning a 5k run! That’s right, in collaboration with Santa Monica-based Leslie Cohen Law, we’re organizing a community run along the Santa Monica beach path for Saturday, April 28. Details will follow soon, but in the meantime, mark your calendars and check out these other LA-area 5k and 10k runs (or half and full marathons for veteran runners) to help you get HYPE’d about running with us in the spring. You don’t have to be a fitness expert to know that losing weight and getting in shape rank pretty high among most people’s New Year’s resolutions. But guess what? You don’t have to be a fitness expert to accomplish those goals either. Whether you’re looking to shed a few pounds, tone up, fit into those jeans collecting dust in your closet or simply get in better shape, here are a few tips to get you headed in the right direction. Take the stairs. When you have the option of climbing stairs or taking an elevator or escalator, opt for the former. Same goes for moving walkways. According to Livestrong.com, a person could burn up to seven times more calories by taking the stairs over the elevator. Eat more celery. It’s true, eating celery actually burns calories. As verified by myth-buster Snopes.com, celery has negative calories because it takes more calories to eat it (through chewing and digestion), then celery has in it. Swap your desk chair for an exercise ball. Also called a balance ball or stability ball, these giant rubber balls make great desk chairs in your office. Maintaining your balance on the wheel-less chair keeps your muscles, especially your core (abdominal) muscles, constantly contracted. Studies have shown other positive results: improved spine alignment, balance, blood circulation and energy. Turn down the thermostat. Or exercise in the cold. Your body actually burns more calories when you’re cold because it’s working hard to keep you warm. In fact, according to a study by the University of Utah, your metabolic rate (the calories you burn simply by existing and not exerting any energy) increases noticeably if you get so cold that you begin to shiver, which is actually quite a bit of work for your body. Pass on the breadbasket. We all love that complementary bread that comes before the meal, but it ends up being a lot of unnecessary calories. Not only is bread high on the glycemic index (read: high carb count), but people also tend to overeat when they snack on bread and then eat their meals. Ditch your maid. Sure, there’s probably a reason you hired a maid (e.g. you don’t have time to clean or just don’t like to). But if you do the cleaning yourself you’ll not only save money, but also burn tons of calories in the process. Think about all the cardio, stretching and lifting you do when vacuuming, knocking down cobwebs and carrying laundry to and from the laundry room. Join a sports league. Rec leagues ­– and increasingly social sport leagues – can be found in almost any city. From softball and basketball to ultimate frisbee and kickball, these leagues get you swinging, sprinting or kicking at least once a week. Join a boot camp. Another fitness offering that can be found nationwide, boot camps are a great way to get motivated and get fit. Although every program is different, boot camps like those at HYPE Performance offer classes in fun outdoor locations and social group settings and with a different workout every day. Contact us for schedules and rates, including our New Year’s Special. Yurbuds Ironman Inspire Earbuds: Developed by a marathon runner and triathlete, these unique earbuds are guaranteed to stay in your ear, even during the most intense physical activity. 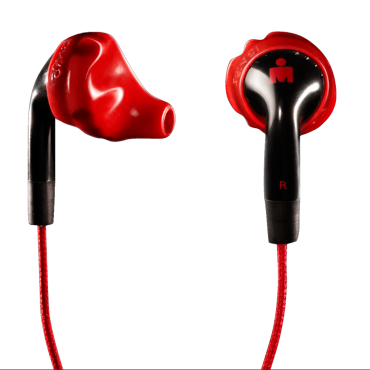 And despite their powerful sound and style, the Ironman Yurbuds are ultra-soft and comfortable. iBike Dash Cycling Computer: The lightweight wireless device turns any iPhone or iPod Touch into a fitness dashboard, allowing you to track speed, trip distance and time, total distance and time logged, temperature and more. It also has hands-free calling with a BlueTooth headset. RunningSkirts: Introduced by a company of the same name, these lightweight, sweat-wicking skirts provide the perfect balance of comfort, functionality and fashion for female runners and athletes. Skirts have a flat waste line, attached mesh brief and two Velcro-closure side pockets. Withings WiFi Body Scale:This innovative scale helps you keep tabs on more than just your weight. It also measures your body fat and lean mass, and then its WiFi capability uploads the measurements to a database online for easy access and anytime weight management. 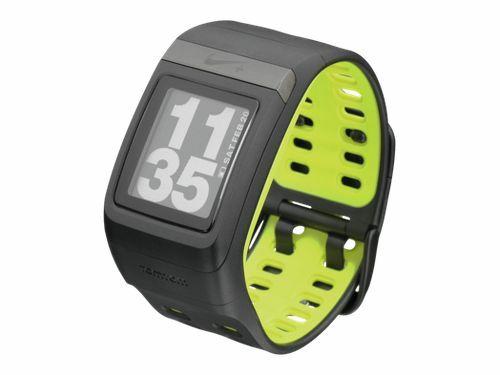 Nike+ SportWatch GPS: Powered by GPS industry leader TomTom, this hip watch lets you accurately track speed, time, distance, pace, heart rate and calories burned the instant you start running—even if the GPS signal gets interrupted. Built-in USB lets you plug in and upload to Nikeplus.com. Perfect Portions Food Scale: This scale and nutritional calculator in one is perfect for the health nut (or seasonal calorie counter) on your list. Unlike other scales, this one breaks down the information into percent daily value in the familiar nutrition label. Sleek, glass-top surface with touchpad keys. HYPE Performance Bootcamp Package: Give the gift that keeps on giving with a multimonth or multiclass pass to any of HYPE’s motivational morning bootcamp. A different fun workout every day and different times to pick from. Contact us now to hear about our special rates and packages. HYPE Performance has a blog! Can you believe the year is almost over?! I hope you had as much fun in 2011 as the folks at HYPE Performance and I did. Over the year, we’ve been busting our butts along side you to reach goals and check off resolutions before 2011 comes to a close. Some of the projects we’ve addressed on our list include implementing social networks, working with daily deal sites, improving class schedules and getting more involved in the community. One thing we haven’t had a chance to get around to – till now – however, is launching a blog. Equally important to providing high-quality, fun bootcamps and individual training is providing you with tips, tools and resources so you can keep health and fitness top of mind, getting you even closer to goals. So in an effort to get you the most valuable information, most useful tips and hottest fitness topics and products, we’ll reach out to our networks and experts, consult our trainers and sift through all the noise out there, bringing it directly to you in our new blog. So make sure you don’t miss out and subscribe to the HYPE Performance blog now. And help us boost the value of the blog by engaging in the conversation: share your comments, fitness tips, favorite links and more. Also, take advantage of our year-end RENEWAL SPECIAL offered only to veteran boot-campers! Because you have been a valued member of the HYPE team, we’re offering a limited-time DISCOUNTED RATE for people who renew: one-month unlimited classes for $80 with a FREE week (five weeks total), or three-months unlimited classes for $180 with two FREE weeks (14 weeks total). Contact us for more details or to sign up.